Today, the average person changes jobs ten to fifteen times (with an average of 12 job changes) during his or her career, which means a good amount of time is spent changing employment. 55% of high-performing employees say they are somewhat, quite, or very likely to leave their jobs within 6 months. 30% satisfied employees in North America. 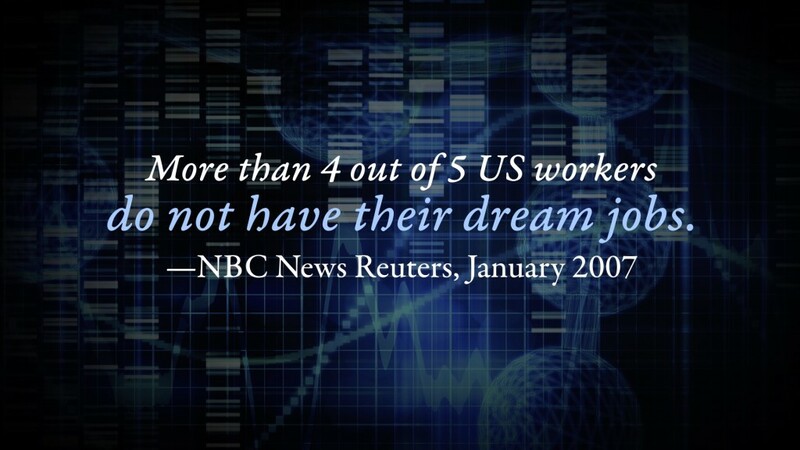 More than 4 out of 5 US workers do not have their dream jobs. Overall, 84% of respondents said they are not in their dream jobs. The typical American worker’s tenure with his or her current employer was 3.8 years in 1996, 3.5 years in 2000 and 4.1 years in 2008, the latest available data. A survey conducted by New York University’s School of Continuing and Professional Studies in 2006 showed that New York professionals — a rarefied group, admittedly, but not necessarily atypical — expected, on average, to change careers three times in their lifetimes, and only 28 percent expected lifelong careers. Officebroker.com polled 500 employees, asking them specifically whether they regretted their choice of careers and, if so, how much they regretted it. 7 percent said they would have chosen a less demanding career.